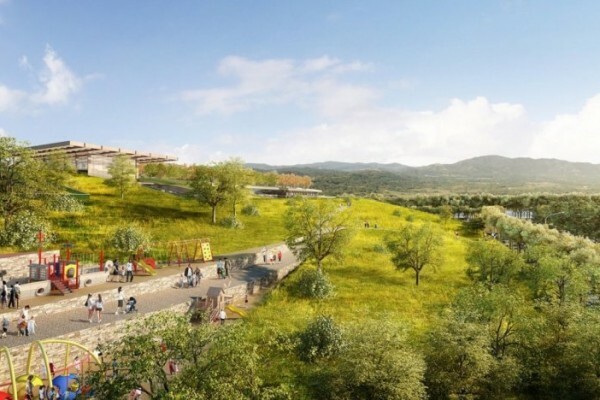 “An integrated 21st century campus surrounded by green space” – that’s how Apple envisions its new campus planned for Cupertino, Calif. 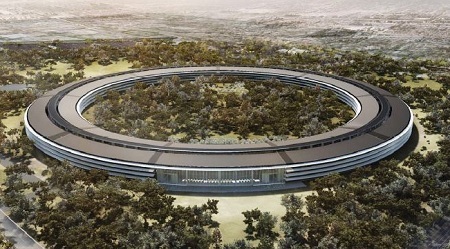 The latest renderings of the project submitted to the Cupertino City Council look a whole lot like a spaceship (in the words of the late Steve Jobs) covered with photovoltaic solar panels. Nineto5Mac reports that while the proposed headquarters has a physical footprint larger than the Pentagon, the vision is for the building to be surrounded by preserved open space featuring more than 6,000 trees of a wide range of species (a senior arborist from Stanford was hired as a consultant for the project). 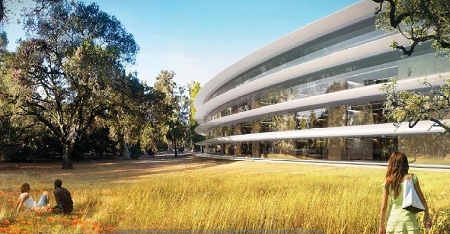 The 13,000 Apple employees who will work at the new HQ will no doubt have ample opportunities to contemplate that serene natural landscape during the course of the workday, as the building will be encased in curved glass nearly all the way around. According to the latest plans submitted to the Cupertino City Council, the building will minimize its reliance on grid-fired electricity by generating “a significant amount of the Campus’s energy needs at an on-site Central Plant.” Much of which, we imagine, will be supplied by the estimated 20,160 solar panels slated to adorn the roof of the building. 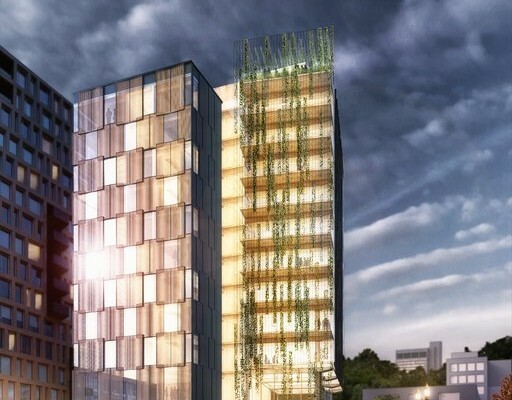 The campus’s mostly underground parking lot will help preserve the natural surroundings, while a central courtyard area will give employees a place to rest and relax between bouts of dreaming up next-generation tech. The campus will be bounded by East Homestead Road on the north, properties adjacent to Tantau Avenue on the east, Interstate 280 on the south and Wolfe Road on the west. 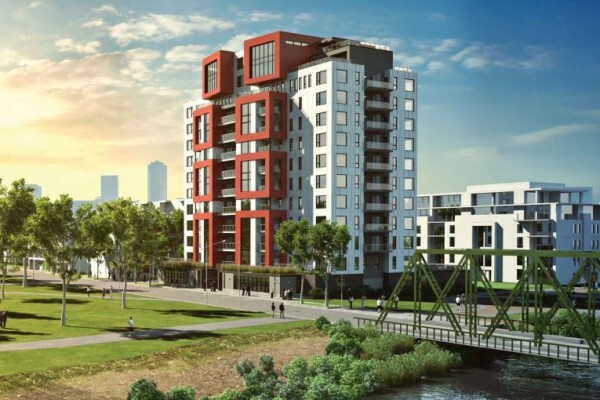 But if these ease of access and surrounding green space sound like a recipe for industrial espionage, fear not, as the entire campus will be surrounded by perimeter security (including, no doubt, high tech cameras mounted unobtrusively amongst all those trees).